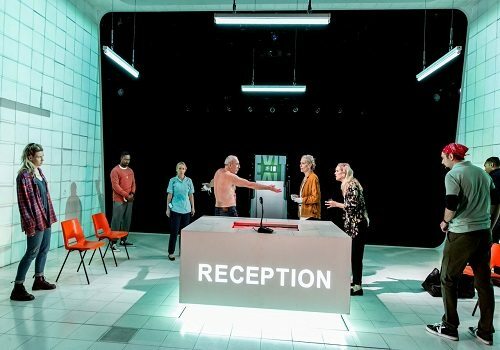 After a critically acclaimed sold-out season at the National Theatre’s Dorfman Theatre, People, Places and Things is transferring to Wyndham’s Theatre in London. The show focuses on an actress whose life has spiralled out of control and it is set to open on March 15th 2016 and will run for a limited twelve weeks. 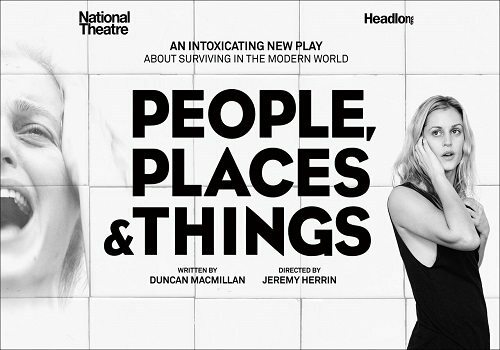 Written by Duncan Macmillan, People, Places and Things is the latest collaboration between the National Theatre and Headlong, following the successful Earthquakes in London and The Effect. Macmillan is best-known for writing Lungs and adapting 1984 for the stage. 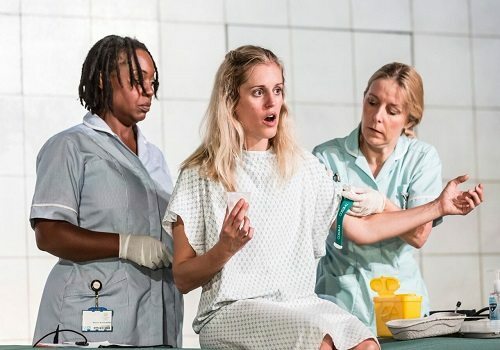 Denise Gough will reprise her role as struggling actress Emma, after receiving huge critical praise. After having the time of her life with parties, drinks and drugs, Emma quickly finds herself in rehab and must admit that she has a problem with addiction. Emma needs to tell the truth but is also smart enough to know that the truth does not exist. For her, intoxication feels like the only way to survive in the modern world. Directed by Headlong’s Artistic Director Jeremy Herrin, who also directed The Nether, Wolf Hall and Bring Up the Bodies, the show features design by Bunny Christie, sound by Tom Gibbons, lighting by james Farncombe and costume by Christina Cunningham. People, Places and Things will arrive at the Wyndham’s following Martin McDonagh’s Royal Court transfer Hangmen, which opens in December. Tickets go on sale from October 22nd, with the show opening March 15th and playing until 4th June 2016. People, Places and Things is not suitable for children as it contains strong language as well as references to drugs. Strobe lighting effects will also be used.